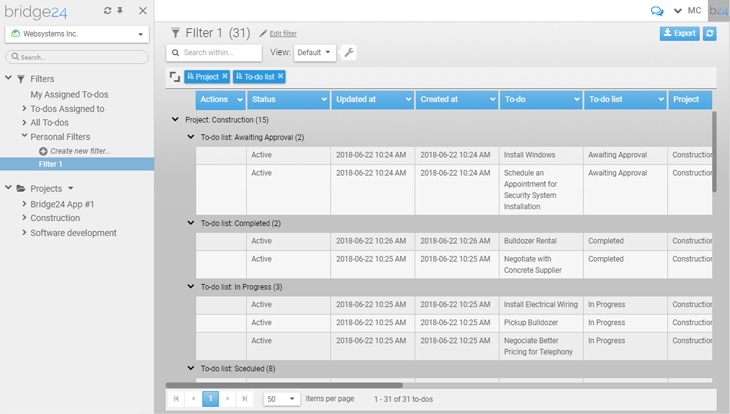 Basic and Advanced reports provide a way to organize and present your to-dos across projects. 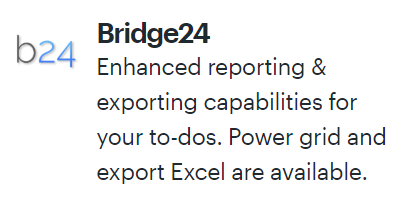 The advanced reports contain 2 grouping levels and you can add an additional 4 columns of your choice. 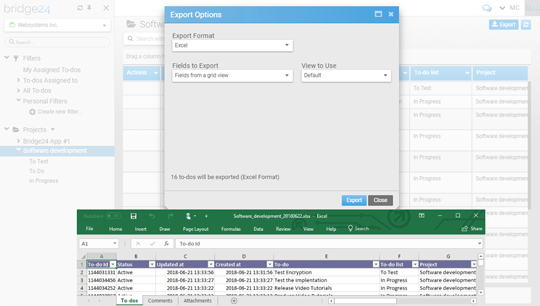 The reports generated can be exported to PDF or Excel.